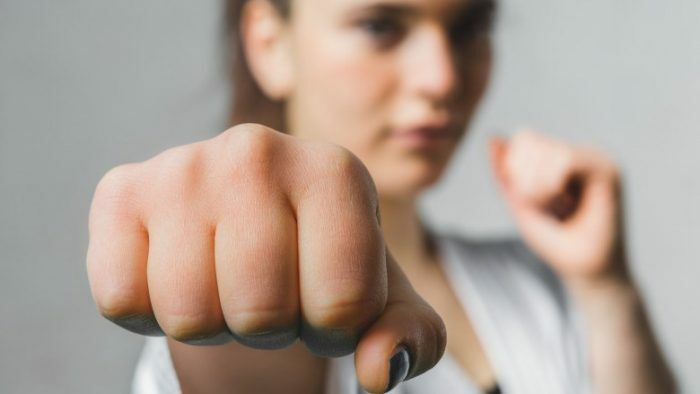 Every year the Campus Security and Public Safety Office provides free self-defense classes to students which are taught by one of our trained patrol officers. These classes can be a valuable tool for everyone to have while on and off campus. Students regularly walk thru campus at night after class or studying as well as off campus in the Logan neighborhood to go home or visit with friends. Staying aware of their surroundings is important and a few defense moves adds to the confidence of staying safe. https://www.circleof6app.com is an app created by college students to help prevent violence and is available both for android and iOS. This tool will allow you to look out for each other when walking on campus or out at night. In addition, if possible, walking with others helps everyone stay safe as well. If you have any questions regarding Crime Prevention and Education, please contact Phil Tyler at (509)313-2222. During the course of the year, Phil will be providing safety talks and presentations across campus with students and staff to discuss concerns and information about personal safety. John Johnston is a Gonzaga Patrol Officer but everyone calls him JJ. He teaches the self-defense seminars here at Gonzaga. JJ has been practicing martial arts for thirty-eight years and has been teaching since 1990. He holds a 5th degree black belt in a Thai martial art called Lotus Self-defense and has his KRU (certified teacher of Muay Thai) status. Besides duties in CSPS, JJ also has a martial arts school/gym called Newborn Jujitsu and Muay Thai. He trains fighters to compete in the ring in kickboxing, Muay Thai and MMA events (JJ also caters to the person who wants to learn important skills and get physically fit). His seminars consist of learning to use your body as a weapon (elbows, knees, heel of the hand, feet and legs). He and his crew also go over some simple ground fighting and talk about personal safety and the best practices to remain safe on campus and in the Logan neighborhood. We hope to see everyone very soon! Keep your eyes peeled and save the date for our next self-defense seminar! Phil Tyler is our Gonzaga Security Crime Prevention and Education Officer. He has lived in Spokane since 1992, and the father of two boys and a daughter. He graduated from Ferris High School prior to entering the United States Air Force as a Law Enforcement Specialist. During his tour he won the Provost Marshal Award, the award for Law Enforcement in South Korea among the 4 major branches. He spent 16 years with the Spokane County Sheriff’s Office – Jail Division where he was promoted to the rank of Lieutenant. He was also a former Field Training, TASER and Report Writing Instructor. He achieved the status Certified Public Official in 2014 and was the recipient of FBI-LEEDA Trilogy Award. A former President of the Spokane NAACP and former member of the Mayor’s Multi-cultural Advisory Committee, Spokane County Human Rights Task Force, Spokane Public Schools Diversity Advisory Council, a previous youth mentor with Communities in SchoolsSpokane and a SYSA Grid Kids football coach, he loves interacting with students and youth. He looks to create more connection with student groups and conduct coffee talks with the campus population.